Click the button below to add the QHY183 Monochrome COLDMOS to your wish list. QHY183M employs Sony Exmor IMX183 CMOS monochrome sensor which carries 20 megapixels on a 1-inch chip. 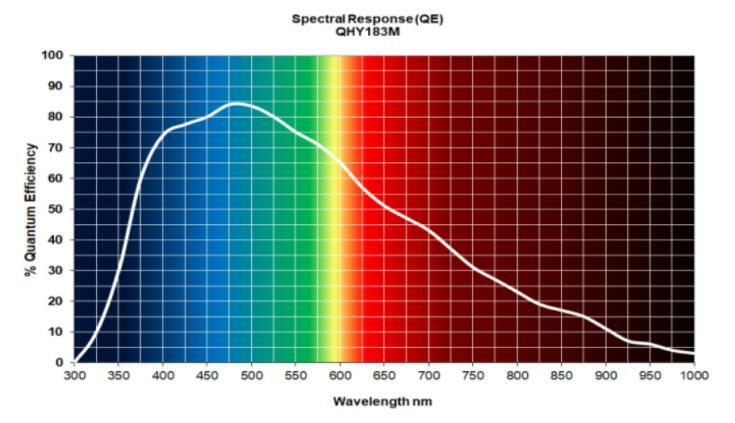 As a member of the QHYCCD COLDMOS series, QHY183M has the capability to cool 40ºC below ambient, rendering a clean and quiet background for long exposure imaging. The optics window is heated with smart circuitry to prevent condensation from forming during cooling. The QHY183M comes standard with USB3.0 interface providing a blazingly fast download speed. 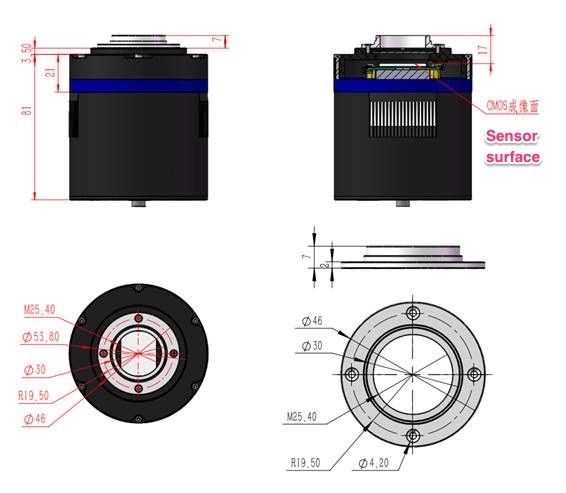 A built-in 4 pins filter wheel connector allows you to use QHYCCD filter wheel directly without extra connection needed. A 6 pins guiding port is also provided shall you want to use this as an autoguider, particularly for long focal length imaging scope OAG setup. 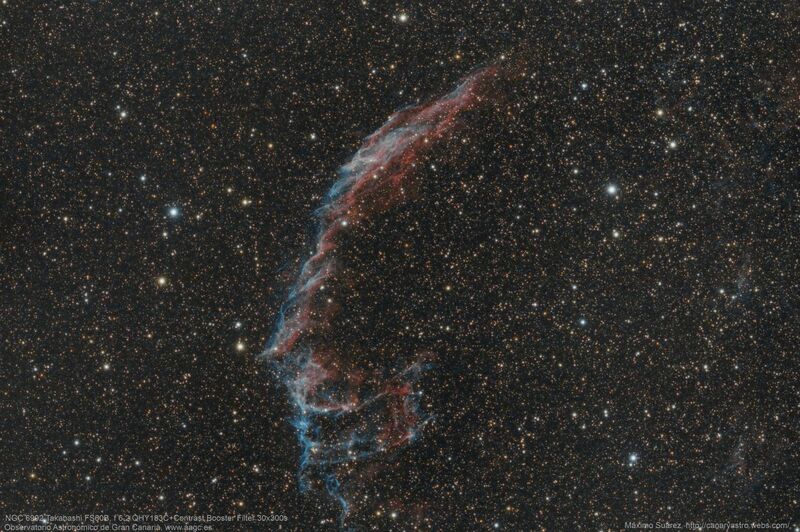 QHY's advanced amp-glow suppression technology is implemented in QHY183M to provide a clean background for long exposure astrophotography, an essential feature for any users planning to do deep sky imaging. SharpCAP, EZCAP_QT,ASCOM Driver, WDM Driver,Live Video BroadCast Driver.Support FireCapture.